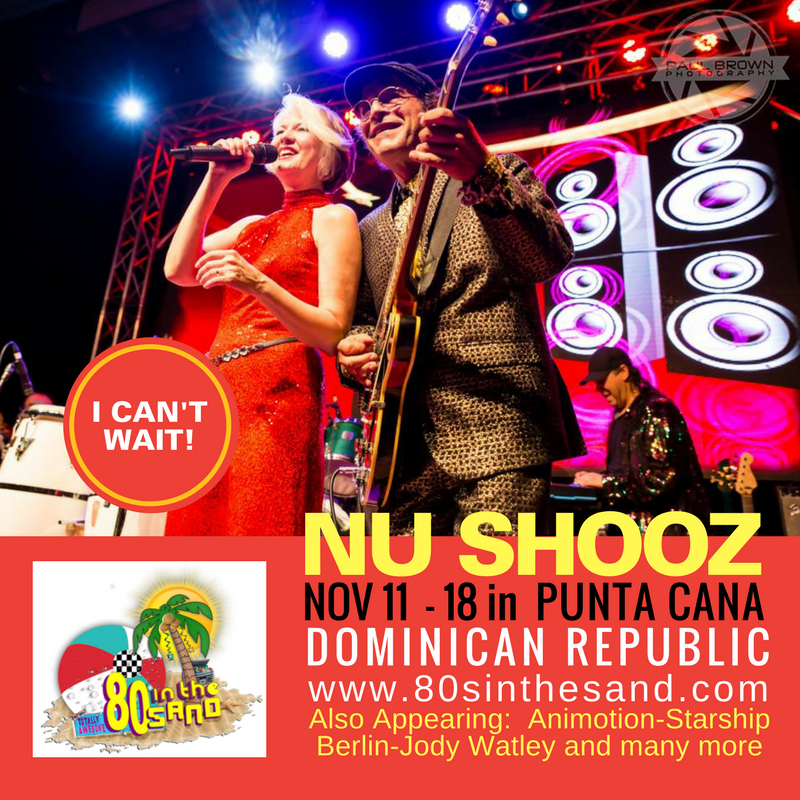 Beat the Winter Blues in the Dominican Republic w/Nu Shooz! Are you looking ahead for a way to beat the blues this winter? This November 11 through 18, come to the Dominican Republic for 80s IN THE SAND! We'll be there with 80s Icons such as Loverboy, Night Ranger, Howard Jones, Berlin, Smithereens, Winger, Motels, Thompson Twins' Tom Bailey, Starship, Jody Watley, Animotion, Stacey Q., Flock Of Seagulls, Bow Wow Wow, When In Rome UK, Anthony Michael Hall, Andrew McCarthy, Curtis Armstrong, Deborah Foreman, Amanda Wyss, Diane Franklin and so much more! 3, 4 and 7 Night Packages available. For tickets and more info go to https://www.80sinthesand.com. Our show will be on Friday, November 17th, but we're going to be there all week long, so please come hang out with us! If Punta Cana DR is a bit too far, we do have some shows coming up stateside in Oregon, California, Las Vegas, and Arizona, with more being added all the time. Head over HERE to our calendar for the full schedule.